is available from band members and at Thursday evening dances. It is DELIGHTFUL, just delightful. No other word will do. I generally try to listen carefully and then give constructive criticism; but that ain’t gonna happen here. I wasn’t halfway through Knole Park before I had to put fingers to keyboard and tell you how I’m feeling. If I could type standing up (or dancing), that’s what I’d be doing. What a great CD you and the band have put together! On behalf of the whole dance scene, thank you. I’m just listening to the lyrical and lovely Miss Gordon of Gight as I write. The arrangements are really beautiful and the piano playing is impeccable. Makes me wish I were an English country dancer! The cover design is attractive--very professional—and the notes informative and useful. I’m sure the CD will be a great asset to the dancing community, not just in Victoria but far beyond. Personally I particularly like your arrangements in Childgrove, and it is really good to have the beautiful music for Filigree which we enjoyed dancing at Halsway Manor last Fall... ...a great big thank you to you and the Dancehall Players for producing this wonderful CD. It's delightful! Thank you so much! Ansa just asked me if it made me feel like dancing. I suggested, on first listen, it makes me feel like devouring a haunch of venison with a dagger and fork, washing it down with flagons of ale, whilst watching other's, more spritely than I, Fandango-ing their hearts out in some green meadow of English daisies. Very inspired. More seriously, it really is fine. I'm sure, with successive listens, many more of the intricacies will become apparent. Pass along my appreciation to the troupe. From one crazy old country picker: Well done! It's great! What a good mixture of items! and the sound engineer - a particularly impressive production. 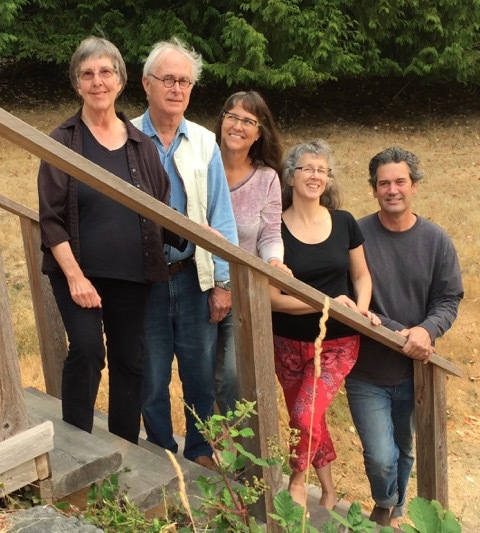 It's wonderful... there's an innocent, sweet quality to it that evokes the pastoral beauty that I and many of us first loved about ECD.A wide variety of instruments, all expertly played, lend a great variety and richness to the disc. There are some familiar favorites as well as some tunes that, to my knowledge, have not been recorded before. This one struck a "lost chord"-- straightforward, unpretentious, unencumbered-- just simply beautiful. Four albums of danceable music from The Dancehall Players! 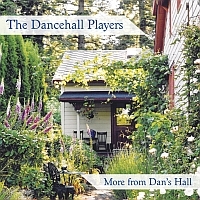 "The beautiful photograph of Dan's Hall that is the cover of More From Dan's Hall was taken by Louise Hawksford in 2001. We love it so much that it has appeared on our first two albums." Fresh From Dan's Hall came out April 2016. It is available from CdBaby and other sources (CDSS iTunes AADS GreatIndie music Amazon Folksales UK) and is available from the band members and at VECDS dances. 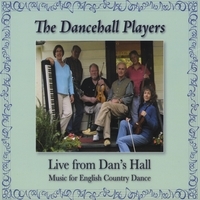 This is an album of original tunes by band members - jigs, reels, waltzes and airs. Colin Wallace, UK, has written dances for every track! And there are other dances associated with some of the tunes. 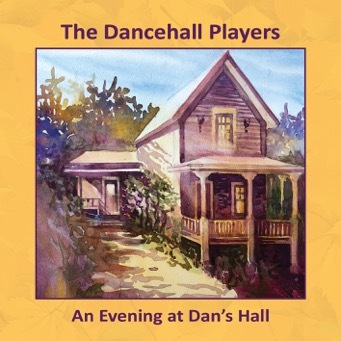 An Evening At Dan’s Hall has just been released (December 2018) and is available from band members and at Thursday evening dances. The CD will soon be carried by CdBaby, CDSS, AADS and Folktales (UK) and be available digitally by spring 2019 via CdBaby’s digital partners and through Bandcamp. "Thank you for all your support and encouragement. Come out and dance - we love to play!"